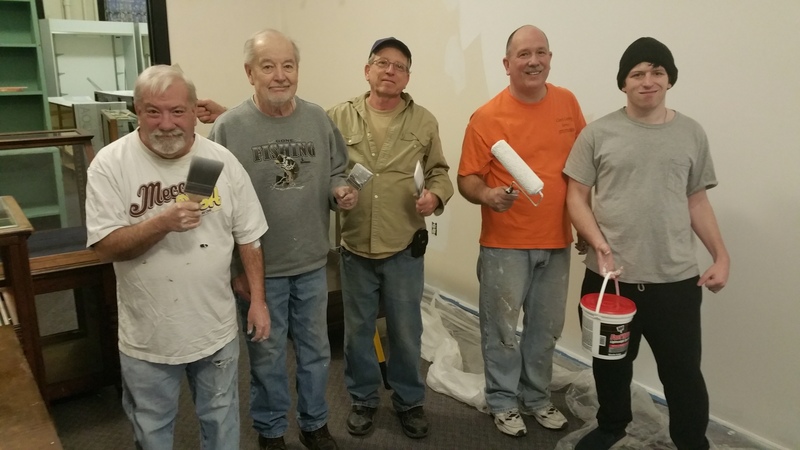 Pictured are volunteers who helped to paint the annex and gallery of the Tamaqua Historical Society Museum. Most of the painting was completed today. Work will be finished tomorrow. From left are Dave Weston, Walter Weston, Craig Allan, David Clemson and Louis Bianco. Dale Freudenberger, president, Tamaqua Historical Society, stated his appreciation to the volunteers for their hard work, as well as to M & S Hardware for donating the paint. Click HERE to view the photo on Facebook via the TamaquaArea.com Forum page.